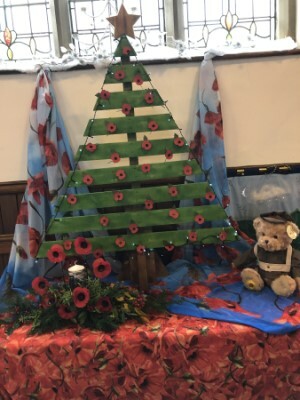 As part of the Christmas tree celebrations at Trinity Church, Honley, we were asked to help out with the British Legion Tree. Part of our colourful coffin window display was used with our special limited edition teddy sat ready to greet everyone. We were pleased to place a Christmas tree at Trinity Church, Honley for their annual Christmas tree festival. 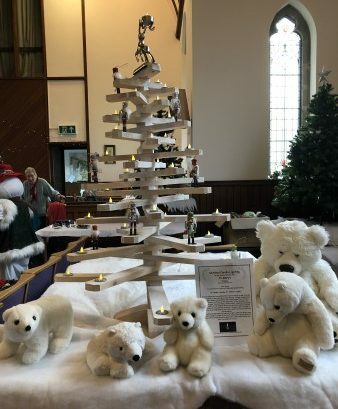 This year a special memorial tree made by Peter Pearson was used to promote the National Candle Lighting Service which is to take place on the 9th December at St. Marys Church Wilshaw.